Does your filofax Domino or Belle have a torn or worn out pen loop? If so a quick and easy method to repair these is to do what I have done to the pictured filofax pocket Belle below. 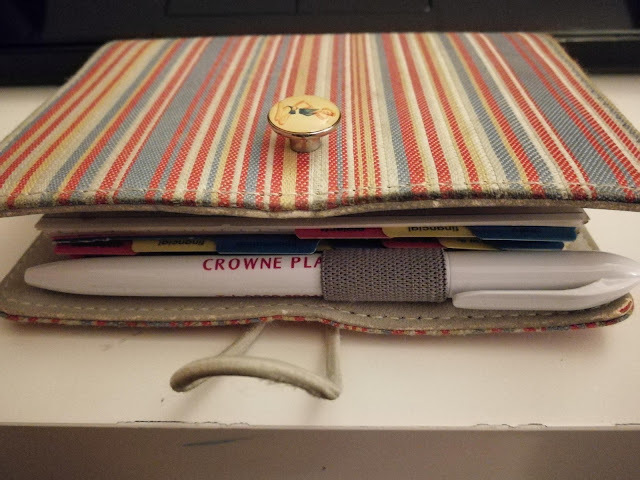 Cut off the pen loop with scissors, this should reveal a slot in the material, use the scissors to cut an opening in the slot, this will then create an opening accessible from behind the pocket/sleeve. 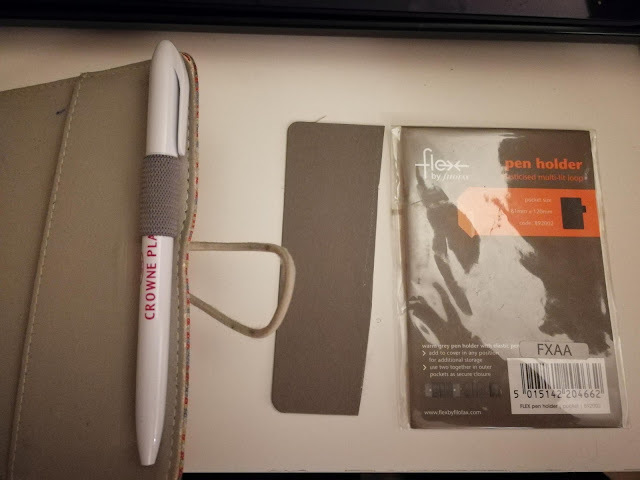 Put a flex pen holder into the sleeve and poke the elastic loop through the hole created. Mark and cut any card from the pen holder that sits past the inside pocket /sleeve. The Belle filofax below now has a working pen loop.